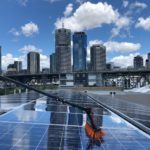 Anthony from I Clean Solar Gold Coast and Scenic Rim has been cleaning solar panels in the Ipswich and Brisbane and has taken on the challenge of looking after his own territory. Anthony is bringing his experience from his time in the Ipswich and Brisbane region to Beaudesert, offering the same professional service. 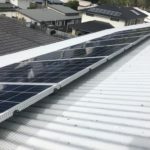 With a strong focus in customer service and professional approach to his services on offer, I Clean Solar is fast becoming the first choice for solar panel cleaning in Beaudesert. For pricing and specials for Beaudesert solar panel cleaning, click here. Professional chemical free clean of solar panels including visual inspection and condition report. Did you know that having your solar panels cleaned once a year can improve your output by up to 30%? For more info, click here. Using the best Stainless Steel bird proofing system on the market, our bird proofing comes with a 5 year bird intrusion warranty! It is so important to prevent any animals from living under your solar panels for safety reasons. For more info click here. 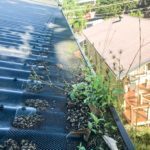 Removal of leaf debris from gutter line to allow rain water to flow freely to the down pipes. Removing debris from your guttering with promote the free flow of rain water to your down pipes and prevents water from sitting in your gutter. For more info, click here.